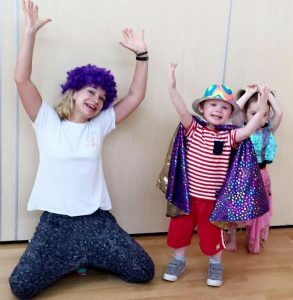 With over 18 years extensive experience teaching drama to children, we at Little People’s believe passionately in the enormous and positive effects it can have on a child’s life. 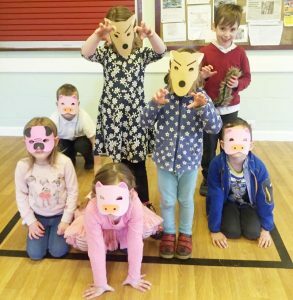 We work with Schools, Nurseries, Preschools and Play Groups delivering an age specific relevant drama session, some we attend weekly, others we deliver workshops once every half term and some we run as one off sessions on an ad-hoc basis. We at Little People’s believe drama unlocks imagination, intelligence, empathy and courage; important transferable life long skills. All sessions consist of fun theatre games helping to create focus, teamwork and trust, essential in creating a safe environment to explore creatively. Theatre techniques are also looked at across the term to help us remember that strange concept that is an ‘audience’! Physical Theatre: Discovering how we use our bodies to communicate stories, characters and emotions. Putting emphasis on movement rather than dialogue and putting the human body at the centre of storytelling. Sessions include: mask work, body language and character work. Improvisation: Exploring what is needed to create and perform a successful story, including structure, character relationship and issues. Increasing opportunities for creative thinking skills and imagination. Script: Interpreting staging scenes, taking it from the page and transferring it to the stage. Discovering clues from the writer about characters, situations, objectives and adding the actors personal touch. Each session is designed and structured to suit the particular developing needs of the specific age group. We base sessions on a story that we either act out together, use as a theme for an adventure or to enjoy some free play with props and costumes. Sessions also consist of songs, games and improvisation, allowing the children to explore and express themselves through words, actions and feelings in a safe, non judgemental and fun environment, and importantly, at their own individual pace. We all know that children learn best through play, when they are relaxed and having fun. That’s what Little People’s is all about. We also involve Pip our special puppet in each session, who the children adore. Examples of some of our sessions are, Stickman, The Highway Rat, Jungle Adventures and George and the Dragon. 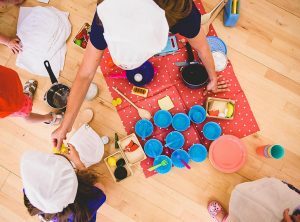 In the early years, drama is not about the child becoming a performer, but about giving them the opportunity to become social, confident and creative little people, ready to progress happily and successfully through their early school years and beyond. It’s also great fun! We’d be happy to come and have a chat with you, tell you a little bit more about what we do and find out what would work best for you and the children you care for. References available.